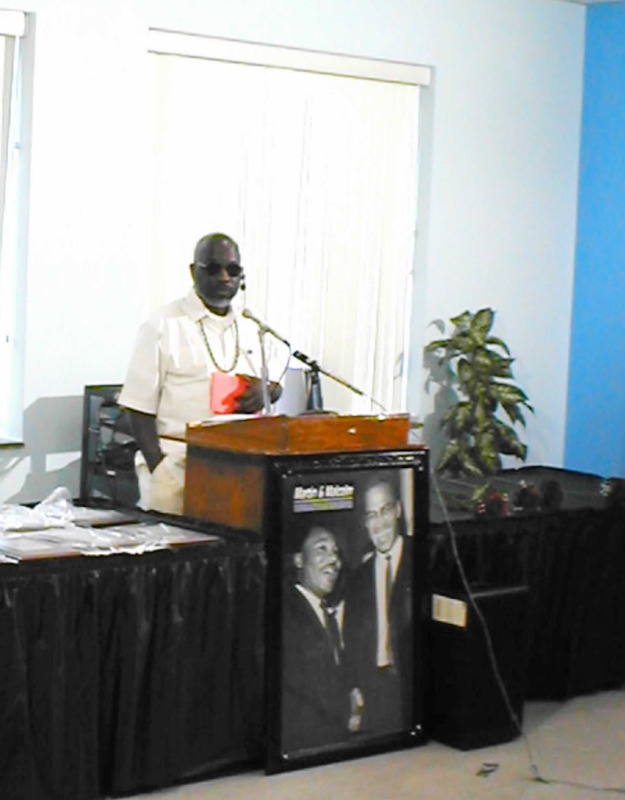 SEVENTEEN years ago, African-American community activist and founding member of the Black Community Information Center(BCIC), Sadiki Kambon, felt that with all of the well intentioned efforts by other hard working Black Nationalists, something was missing in the tributes to those that have gone before in the struggle for Black Equality. State sanctioned commemoration of the legacy of Dr. Martin Luther King seemed enough for some, and although that recognition of the sacrifices of our martyred leader on his birthday was welcome, he felt that it should not come at the expense of the memory of another leader whose influence in the movement was not as acceptable to the mainstream of American society. That leader was Malcolm X.
BOSTON AND ROXBURY have always been the home of many of those who have fought in the struggle for racial and civil equality. 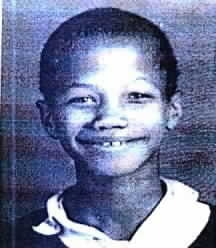 In the case of Malcolm X (Little) Roxbury was where he came to live as a youngster and later as a young man where he preached as a minister in the Nation Of Islam at Mosque #11 on Intervale Street. There are many who are still alive today who remember having their lives being touched by Malcolm as he fulfilled his destiny. There are even many more who know the life of Malcolm through his autobiography and the movie of his life based on this autobiography produced and directed by Spike Lee. This did not go unnoticed by Sadiki Kambon and members of the BCIC. It was felt that if the N.A.A.C.P. could have a breakfast for Dr. King then the BCIC and other members of the African-American community in Boston could host a breakfast for Malcolm X. 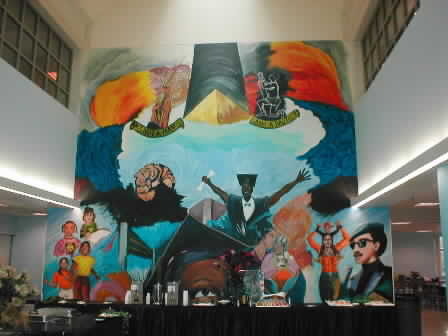 So in 1987 the 1st Malcolm X Breakfast was held at what was then Boston State College on Huntington Avenue in Boston. The attendance and interest was such that the sponsers decided to make it an annual event and it has continued to this day. ROXBURY COMMUNITY COLLEGE, located on Columbus avenue at Roxbury Crossing, in Roxbury, was the home of the annual event this year, and in recent years past. 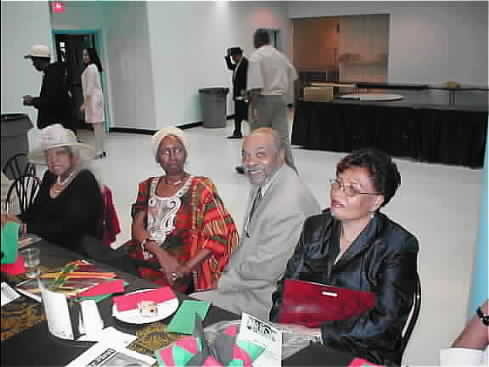 The well organized gathering, decorated with tasteful ormaments and Malcolm X pictured center pieces featured an awards ceremony for this years worthy recipients in several categories, entertainment in the form of poetry readings, and african dancing. Around the room were vendors with all manner of goods for sale. 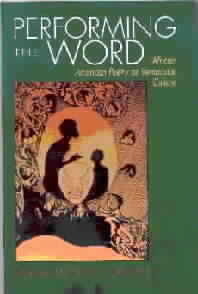 The event embodies all the principles of the Inguzo Saba - The Seven Principles. 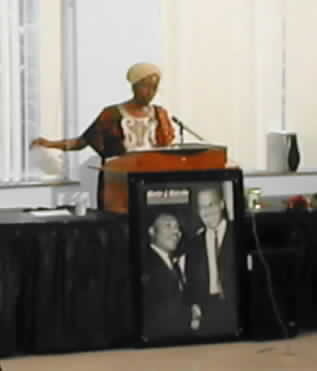 Lifelong community, national and internationl Human rights worker; Associate professor of English and African-American literature at The College of Staten Island, City University of N.Y., Dr. Fahamisha Patricia Brown was the featured speaker at this year's festivities. 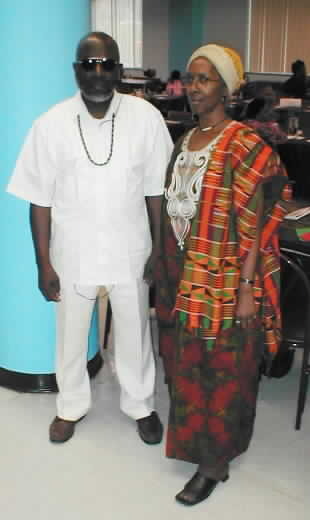 The subject this year was in In Celebration of The Black Family. Born Malcolm Little, Malcolm X (19251965) was one of the most influential Black leaders of the 1960s. His career in activism began in 1946, when he joined the Nation of Islam while serving a prison term for burglary. Upon his release he became the primary spokesman for the Nation, advocating Black pride, personal responsibility, and separatism. He broke with the Black Muslims in 1963, and converted to orthodox Islam in 1964. Following his pilgrimage to Mecca in 1964 (this journey is known as the Hajj to followers of Islam), Malcolm X changed his name to El-Hajj Malik El-Shabazz. Deeply moved by the spirit of brotherhood and unity displayed by Muslims of many different races, he also re-evaluated his separatist views, stating that American whites who accepted the "Oneness of God" could accept the "Oneness of Man." He was assassinated the following year.